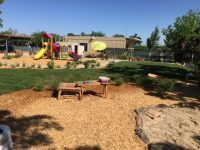 After dreaming about creating a natural outdoor classroom for children, in the fall of 2016, the Reedley College Child Development Center and Lab School was able to make dreams come true. With the support of the College and the local US Forestry Service, we began the design phase of our space. 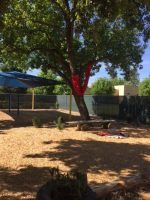 Ideas from teachers, faculty, parents and community members were taken into consideration for creating an outdoor environment that reflects our community. 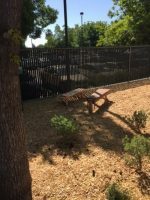 We worked closely with members of our rural agricultural community to create areas in our outdoor classroom that reflect local surroundings. 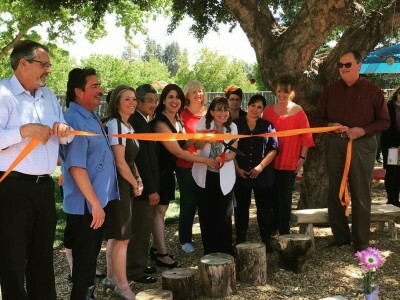 We celebrated our ribbon-cutting ceremony in April 2017. 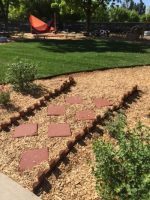 Plant materials are native, drought resistant, and require minimal maintenance and water. A variety of natural materials such as bark, grass, plantings, and sand were used to create borders and barriers from one designated area to the next. 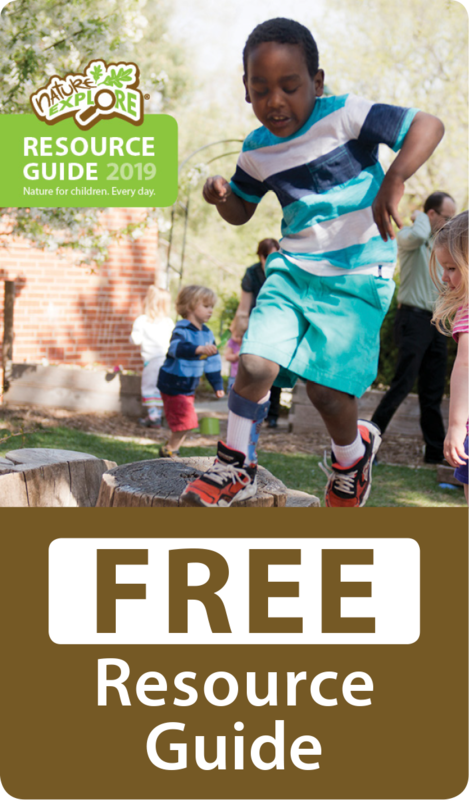 One main trail connects all the defined areas that include messy play, dramatic play, music and movement, meeting spaces, garden space, climbing, and natural art. This allows each area to be used separately while maintaining a sense of unity. 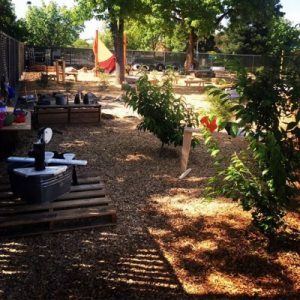 The space was also designed to align with our philosophy and the belief that childhood is a time like no other. It’s a time for exploring, for creating, for discovering about oneself, for meeting the world, for learning how, for being accepted “just the way I am.” It’s a time for blossoming and being cherished. A time for being allowed the time to be a child. 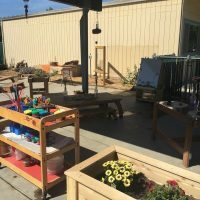 It is an environment in which children’s creativity, exploration and sense of curiosity will be supported and encouraged. It will allow them to take risks by challenging their natural abilities and allowing them to build and develop positive self-esteem. It will also allow teachers to model a sense of love and respect for nature that will inspire children, families and future teachers alike. 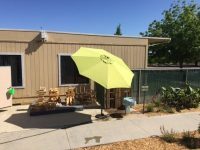 As an early childhood education lab school on the Reedley College campus, the outdoor classroom will allow us the opportunity to teach and train future and current teachers on how to use natural spaces with young children. 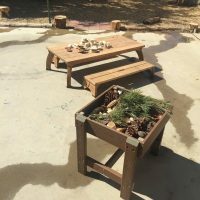 They will have hands-on opportunities to explore and manipulate materials that are not often typically found in outdoor preschool spaces. Future and current teachers will be able to observe teacher and child interactions and link early childhood education theories with practice.